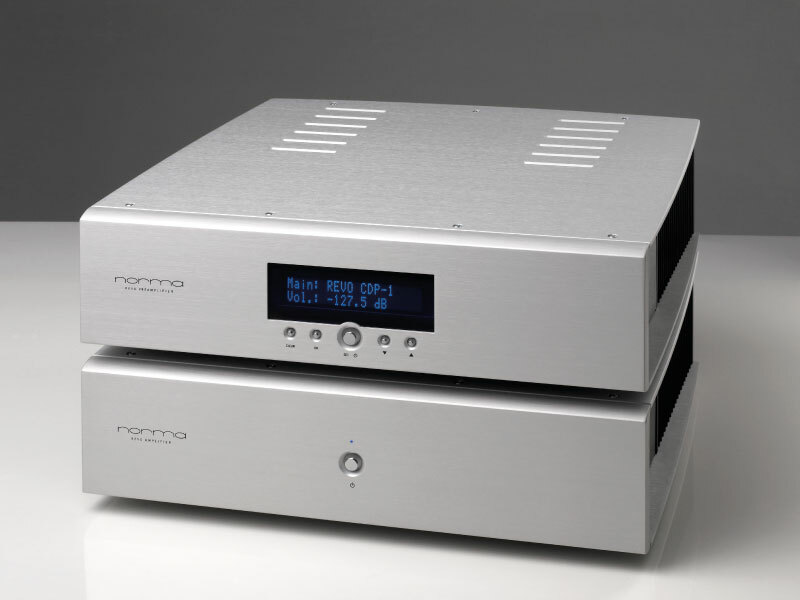 In the REVO SC-2 preamplifier, a pure and elegant style combines with the most refined technology. Completely remote-controllable in all its functions, the REVO SC-2 model uses the exclusive P.D.D.A. (Programmable Digital Analogue Attenuation) volume control. It a system that attenuates between 0.0 dB and -127.0 dB in steps of 0.5 dB, with a typical precision of +/- 0.01 dB. Plus, the input selection uses high-quality relays, no integrated circuit is used on the signal path. The whole conception of the REVO SC-2 is tended to combine a modern operative functionality with the severity for audio signal typical of a devise which is really High-End. Its plasma display with adjustable lightness intensity is always clearly visible from a distance, and thanks to the microprocessor management and a dedicated software, the REVO SC-2 combines simplicity and comfort with extraordinary versatility, completeness and functions customization. The SC-2 preamplifier can be mounted with a Phono stage, and also updated to the Multichannel mode. Finally, it can work both in Active and Passive mode. - High filtering capacity (51.000 uF) with numerous (23) capacitors, to achieve low impedance. - Toroidal power transformers specially designed for audio applications, low flow dispersion, low mechanical noise, high permeability magnetic core with consequent low output impedance. - 0.5 dB step an 127.5 dB range attenuation, made by relays and high quality precision resistors. - Active or Passive modality for best audio performance. - High quality phono stage, for MM and MC pick-ups. - Two free slots for future upgrades. - Possibilities of upgrades with MCH-6 (Multichannel board with 2 set of 6 inputs, outputs) for Audio-Video application. - Possibilities of upgrades with DAC Board with USB & SPDIF inputs, 24 Bit, 192 kHz resolution. - Remote control of all functions with NORMA remote control. Output Voltage: 7.5 V r.m.s.